It's never too early to book your newborn session! Many expecting mums prefer to secure their due dates during their second trimester or early third trimester. To ensure a high level quality of service, I only take on a limited number of newborn sessions each month. This ensures my availability is allocated when your baby is born. I'll reserve a date around your due date, and when your baby arrives, I'll wait for you to contact me when we can then lock in a firm date and time for your session. 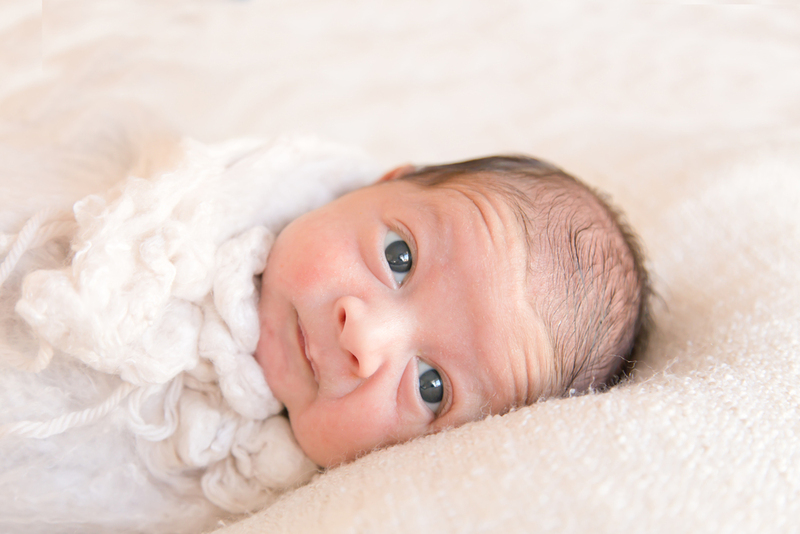 When is the best time to have my newborn session? 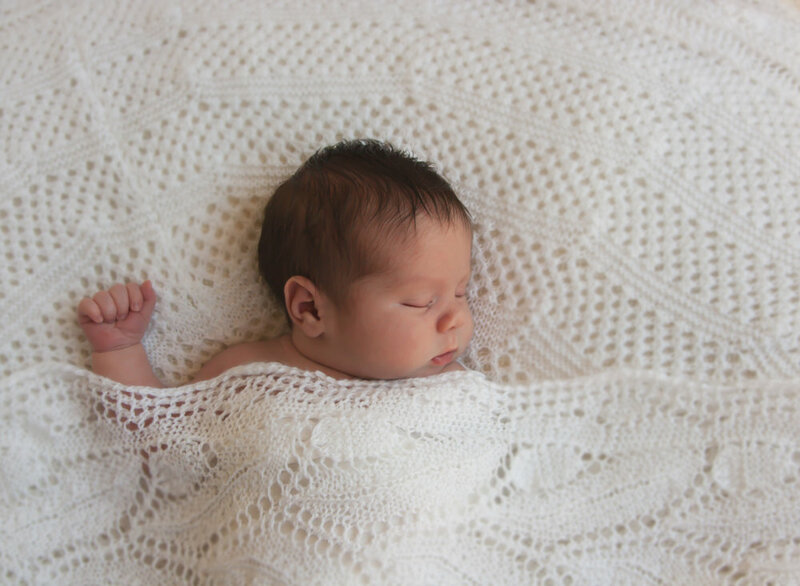 For those sleepy, curled up poses, it is ideal to photograph your baby when they are between 5-10 days old. If your baby is a few weeks older or you are more of a fan of those candid images and details, then your session can be tailored towards a lifestyle session. Alternatively, a Fresh 48, held within the first 2 days of baby's birth captures the raw newness of your little one in the hospital or at home. Your newborn session will be held in the comfort of your home. I like to photograph in the room with the most natural light. In most cases this is usually the living room, nursery or master bedroom. I travel to you with everything I need to create beautiful images of your baby. It takes the stress away from you having to leave the house with a brand new baby! So you can sit back and relax and enjoy the experience. Newborn sessions typically last up to 2-3 hours. This allows plenty of time for feeding, cuddling and settling baby. There is usually plenty of rocking to sleep and swaddling, so baby is warm and sleepy for the session. I work with the cues of your baby so there is no rush. Not unless you want to! If you have the time and energy, it can be a good idea to clear away any general clutter from the table and bench. You'll be looking at your family photos forever, so hide away anything that you wouldn't be happy looking back on in the pictures. For posed newborn, I just need a small space by a window or glass door. If you're going for a lifestyle shoot, embrace the mess! I want you to feel relaxed, so don't stress about the mess! It's a part of life! Sessions include locations within 30km of the Perth CBD. Outside of this, travel fees apply. Please contact me for details. I'll bring several wraps to pose baby in. I like to keep it simple and sweet. I encourage you and your partner to be in the photos too, so wear something comfortable and neutral. Try to think of colours and patterns that fit nicely together, you don't have to match! Neutral shades and tones photograph beautifully for a timeless look. If you're looking for more inspiration, head over to my pinterest board for some suggestions. Approximately 2 weeks after your session, you will receive a unique link to view your private online gallery. Once you have chosen your favourites, and placed your order, your images will be prepared and delivered to you approximately 2-3 weeks after your session. If you have ordered custom prints, these will take approximately 3-6 weeks depending on the items you have ordered. With 3 young children of my own, I understand the importance of the health and safety of your baby. All blankets, wraps and props are hygienically cleaned before and after every session, and I will always use hand sanitiser before handling your baby. In cases of client or photographer illnesses, sessions will be rescheduled. I am also up to date with my immunisations. Your baby's safety during a session is my utmost importance, and I will not pose your baby in unsafe ways. Poses are always simple and comfortable for your precious new baby.